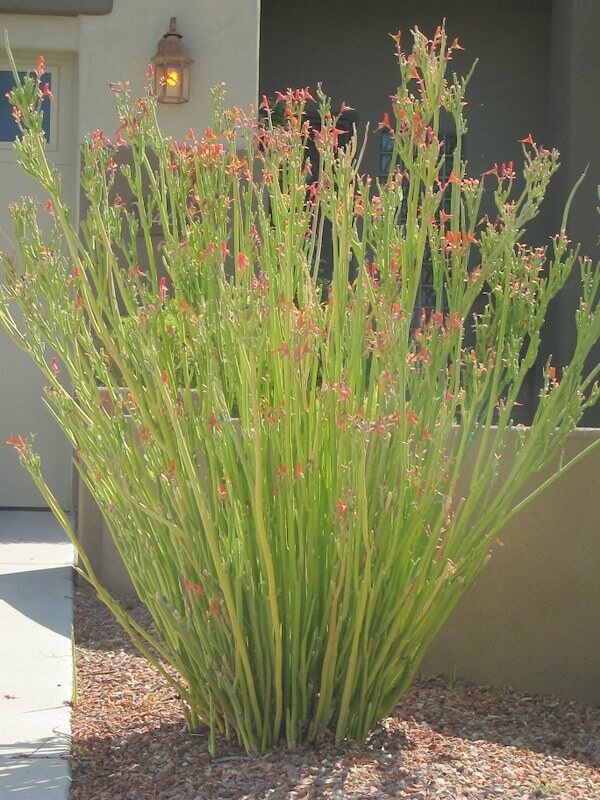 This erect, shrubby perennial grows three feet tall and wide with needle-like, grayish-green foliage that is covered in fine hairs. 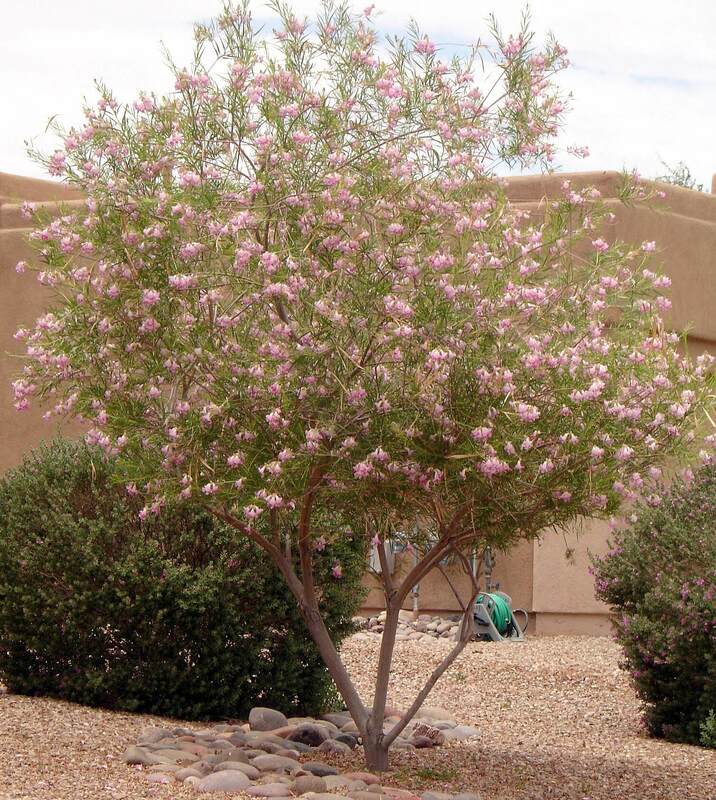 From March through October, it produces showy, white flower clusters with pinkish-burgundy buds. Threadleaf milkweed is a spectacular plant when it is in bloom and its flowers last for a long time. After flowering, decorative seed capsules appear that are shaped like teardrops and are about two inches long. Use for its exotic character with other showy perennial plants and to attract the monarch and queen butterflies. Also use in patios, around pools, and near water features. It looks nice planted along foundations and low walls with its interesting growth habit and foliage. 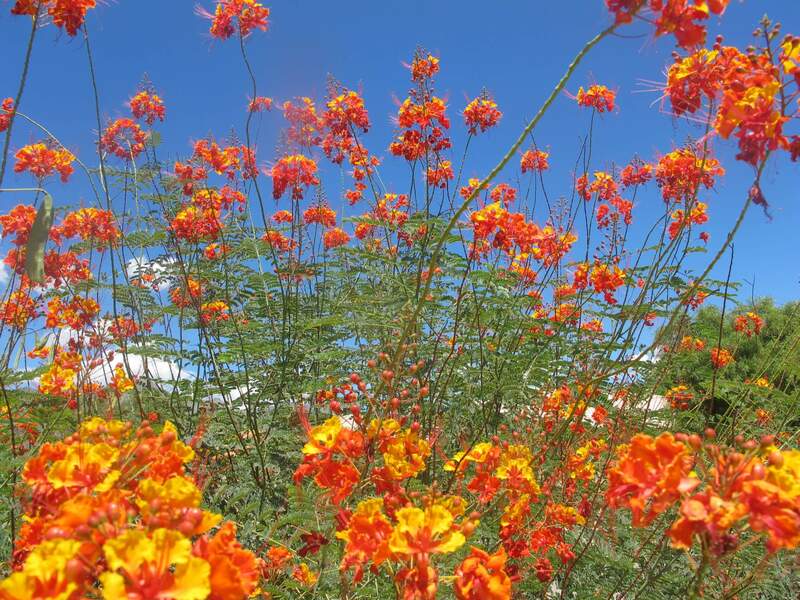 This plant is native to rocky slopes and canyons from southern Arizona into California and the Mexican Sonoran Desert at elevations of 1,500 to 6,000 feet. 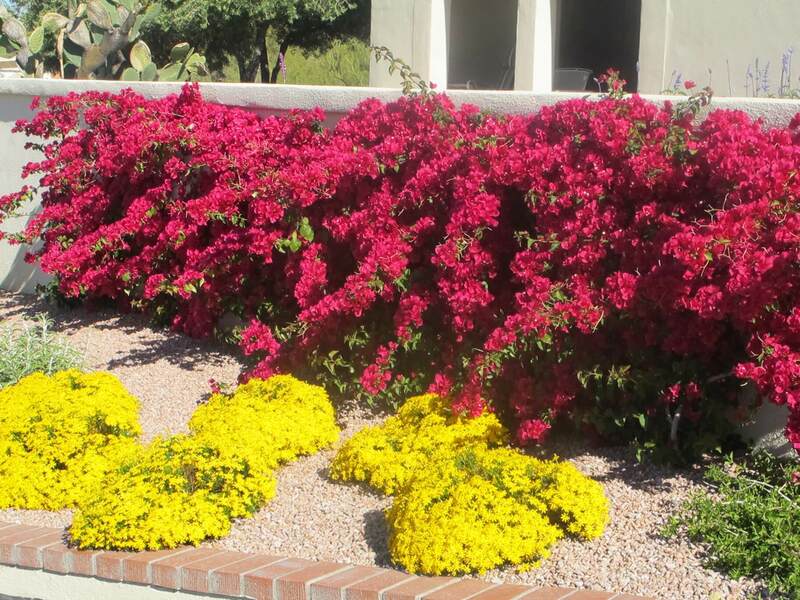 It is very easy to grow and maintain and does very well in our hot, dry climates. 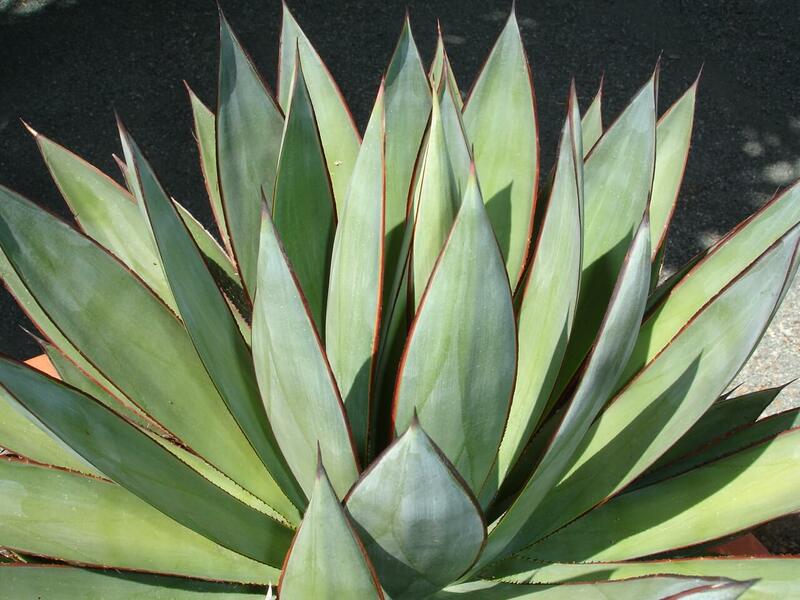 Use this shrub for its exotic character, perhaps with other showy perennial plants. A milky substance oozes from the plant when a branch is broken or pruned. 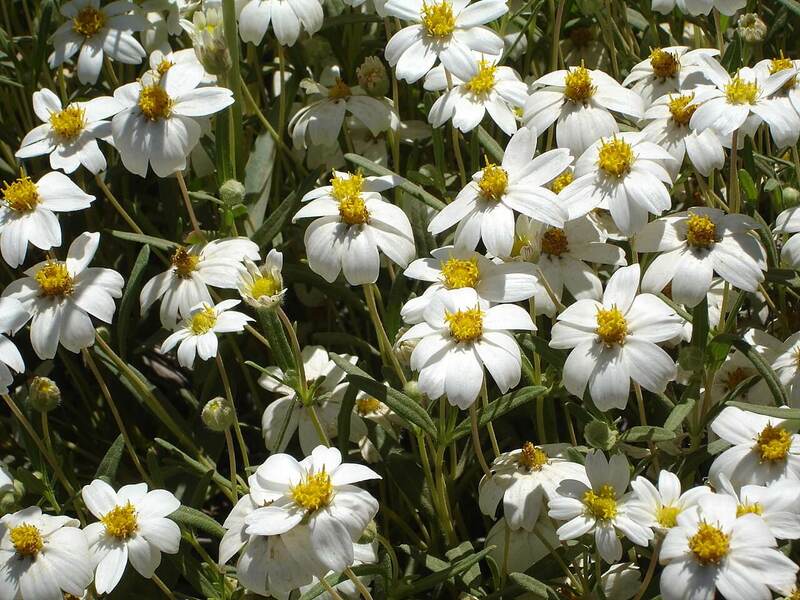 The plant enjoys full sun to partial shade, well-draining soil, and moderate irrigation to keep its nice appearance. It grows faster when given supplemental water and is hardy into the mid twenties.